The next Live Lunch in WTMD’s performance space in Towson features Charm City Bluegrass Festival artists Rob Ickes & Trey Hensley on Friday. Come see the show live at noon or tune in to 89.7 WTMD. The 7th annual Charm City Bluegrass Festival is Friday and Saturday in Druid Hill Park. Artists include The Bridge, Deer Tick, Steep Canyon Rangers, Jeff Austin Band & Special Guests, Seldom Scene, Frank Solivan & Dirty Kitchen, Charm City Junction, Ultrafaux, and more. The next show in the North by Northeast American Roots Music Series is Saturday at Function Coworking Community in Lauraville, featuring The Stone Hill All-Stars and Friends. The Southern Maryland Celtic Festival is Saturday at Jefferson-Patterson Park and Museum in Price Frederick, MD. 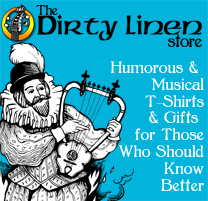 Artists include Ken Kolodner, Elke Baker & Robin Bullock, La Unica, Greater Washington Ceili Club with Pond Scum Band, Maggie Sansone & Bob Etsy, The American Rogues, and more. Mystic India: The World Tour featuring the AATMA Performing Arts dance company will be at the Chrysalis in Merriweather Park at Symphony Woods on Sunday. Info at Eventbrite. Also next Sunday Sarah Shook and Disarmers perform at Hill Center in Washington DC at 4:30pm. The next Live Lunch in WTMD’s performance space in Towson is Bhi Bhiman on Thursday. Come see the show live at noon or tune in to 89.7 WTMD. The Baltimore City Historical Society presents “Hazel Dickens: The Voice of Appalachian Baltimore,” featuring documentary footage, live music, and commentary, at Village Learning Place on Thursday. Singer/songwriter Lavender Blue will be at Wax Atlas records on Friday. Thursday, Tyler Ramsey (formerly of Band of Horses) is at U Street Music Hall in NW Washington, DC. The Baltimore Irish Trad Fest runs Friday through Sunday at various venues featuring workshops, performances and sessions in Irish traditional music, dance and song. Check the website for details. A new art exhibit “Springalong: Images of Change, Growth & Hope” opens at WTMD in Towson on Thursday. Reception from 5:30-8:30pm. Also Tuesday, the trio Lula Wiles will be at Pearl Street Warehouse in Washington, DC. Throat singing ensemble Alash from Tuva will be at Hill Center in Washington DC on Tuesday. And on Wednesday at noon, The American Folklife Center presents Alash at the Whittall Pavilion of the Library of Congress. WTMD presents Act 1 of Cease & Desist Ballet, the Afrofuturistic opera-ballet set years in the future, on Thursday at WTMD’s performance space in Towson. Tickets and info at wtmd.org. Also Sunday, Hermes Charles plays at 13.5% Wine Bar in Hampden. Thank you to everyone who contributed to the WTMD Music Madness Fundraiser last week. We can’t bring you Detour and all the other programming on WTMD without your support. If you haven’t contributed yet, please become a member today. Call 410-704-8970 or visit wtmd.org and make a pledge now! WTMD Film Series continues with the documentary “Waiting: The Van Duren Story” sets out to discover why Van Duren isn’t a household name on Wednesday in WTMD’s performance space in Towson. Doors open at 7:30 p.m. and the movie starts at 8. The film is free and so is the popcorn. The American Folklife Center presents Acadian music from Prince Edward Island by Vishtèn at the Coolidge Auditorium of the Library of Congress on Thursday at noon. 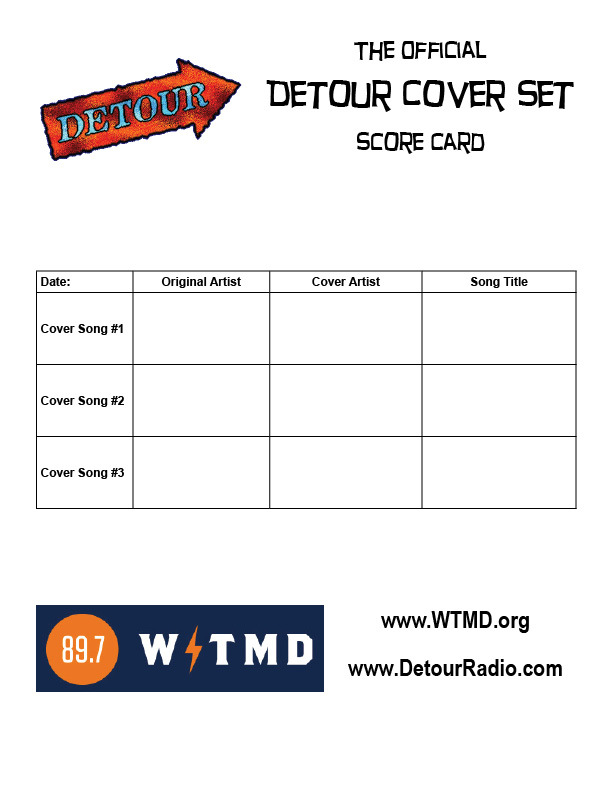 Support Detour and all the other programming on WTMD by becoming a member today. Your contributions keep the music coming! Call 410-704-8970 or visit wtmd.org and make a pledge now! The next Live Lunch in WTMD’s performance space in Towson is Eli Paperboy Reed on Friday. Come see the show live at noon or tune in to 89.7 WTMD. The next show in the North by Northeast American Roots Music Series is Saturday at Function Coworking Community in Lauraville, featuring Tongue in Cheek Jazz Band. Another Saturday show features The Old Part of Town at 1919on Fleet Street in Fells Point. Also Sunday The Bright Siders will be at Hill Center in Washington DC at 3pm. The next Live Lunch in WTMD’s performance space in Towson is Airpark on Friday. Come see the show live at noon or tune in to 89.7 WTMD. Guitarra Portuguesa player Marta Pereira da Costa will be at the Portuguese Embassy in Washington DC on Friday night and at the Kennedy Center Millennium Stage in Washington, DC on Saturday at 6:00. WTMD Film Series continues with the documentary “Joan Jett: Bad Reputation” on Wednesday in WTMD’s performance space in Towson. Doors open at 7:30 p.m. and the movie starts at 8. The film is free and so is the popcorn. The Baltimore Irish Trad Fest fundraiser concert is Friday at the Church of the Nativity and Holy Comforter on York Road in Towson. Silent auction, dancers and music by Billy McComiskey, Donna Long, Pat Egan, Jim Eagan, Laura Byrne, Sean McComiskey and more. The Jewish Music Coffeehouse features the Seth Kibel Quartet on Sunday at Beth Israel Congregation in Owings Mills. The next Live Lunch in WTMD’s performance space in Towson is Liz Cooper & The Stampede on Friday. Come see the show live at noon or tune in to 89.7 WTMD. Danny Burns is at Pearl Street Warehouse in Washington, DC on Friday. Friday, Haint Blue will be at New Deal Cafe in Greenbelt MD. (301) 474-5642 http://newdealcafe.com and Saturday at the Frozen Harbor Festival in Baltimore. The next show in the North by Northeast American Roots Music Series is Saturday at Function Coworking Community in Lauraville, featuring Laura Wortman of the Honey Dewdrops and Letitia Van Sant.